This was the veggie option for the party. I made it in the slow cooker so that I could throw it together and leave it and then serve from the slow cooker and it would still be hot. It could easily become non-veggie by using minced beef instead of veggie mince but brown it in a frying pan first then proceed as below. Essentially this is just my chilli con carne recipe done a bit differently. 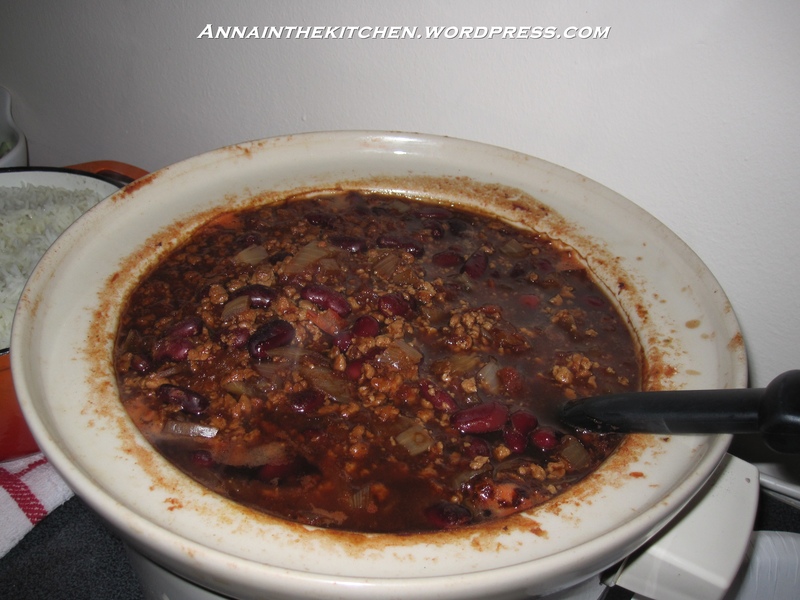 – Basically throw everything but the kidney beans into the slow cooker. – Give it a stir to mix it up well. – Add the beans and stir gently. – Put the lid on and cook in the slow cooker for 8 hours on low.